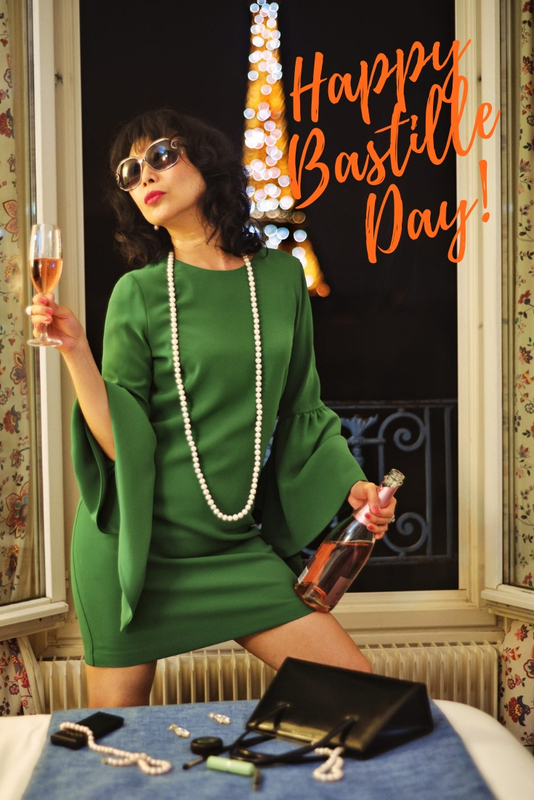 The French calls its National Day La Fête Nationale, whereas the rest of the world, especially the English speaking world calls it Bastille Day. Today is the 14th of July, and while we say ‘Happy Bastille Day!’ or ‘Joyeux 14 juillet!’, I want to celebrate the French National Day by dedicating this post to France and the French. And what if anything do I have to do with France besides my recent visit? Well, let me reveal some facts of ‘France and I’ sort; or perhaps I should call it ‘Vivienne’s obsession with France’?! 1) I have visited France eight times. But, only on the last trip did I venture out into the French country itself.., seven times out of the eight times I only stayed in Paris. 2) My last time as a student was in Paris. I went to the language school France Langue to learn French in 2002. 3) Three French films are in my top ten favourite-movies-of-all-time list. 4) Throughout my 20s, I was totally crazy about the French fashion brand Plein Sud. 5) I have stayed in a 13th century French castle Château de Bagnols and it was a mind blowing experience! 6) Besides Château de Bagnols, my all time favourite French castle is the Château de Vaux-le-Vicomte. 7) My favourite bridge in this world is Pont Alexandre III. 8) According to several clairvoyants, I was a Parisian in one of my recent previous lives!